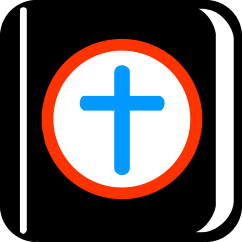 Get the free Bible Hub App! Search: Enter any combination of book, abbreviation, chapter, verse, or keyword. Search Tips. Read: Click any version name to read the full chapter for that text. Parallel Chapters · Reading Plan. Study: Click any study tab to view sermons, topics, commentaries, interlinear, Strong's, Greek, or Hebrew for your passage. This site is a great way to link any verse on your site to an instant menu of 25 versions! Psalm 27:1 The LORD is my light and my salvation--whom shall I fear? Jeremiah 32:27 I am the God of all. Is anything too hard for me?